On Saturday, Benefit is releasing their new launches to the Hoola range. 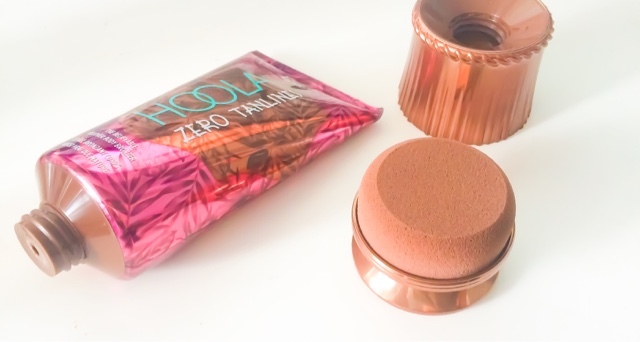 I am a die hard Benefit Hoola bronzer user, it is the perfect shade for contouring and bronzing, you can read my Benefit Hoola Review here! The first of the new releases is Benefit Dew the Hoola* (which I will link when it becomes available ob the website) This product is great for adding natural dimension to the skin and adding a radiant bronze glow to the skin without looking fake or cakey. 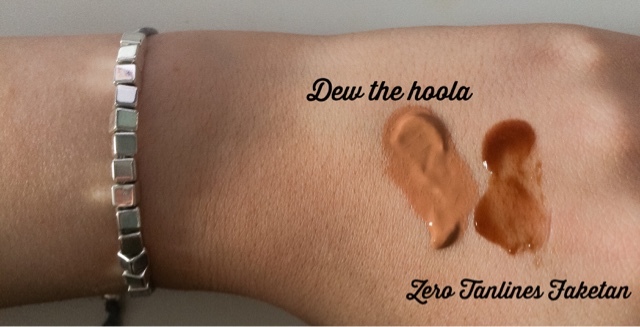 The shade of Dew the Hoola is not orangey in tone so it really suits light to medium skin tones. I like to use this product by applying it in a 3 shape motion, around the temples, in the cheekbones and on the jaw line. This product contains 30ml of product and retails for £22.50. The next release is the Benefit Hoola Zero Tanlines Fake tan*. This product is a gel like consistency which instantly bronzes the skin. Application is made easy as there is a sponge applicator (shown in the second picture) which is hidden within the lid. This sponge makes the fake tan apply so smoothly onto the skin leaving no streaks. The shade can be built up so it is dark however if you lightly apply it gives the skin a little bronze and glow. This product retails for £19.50. 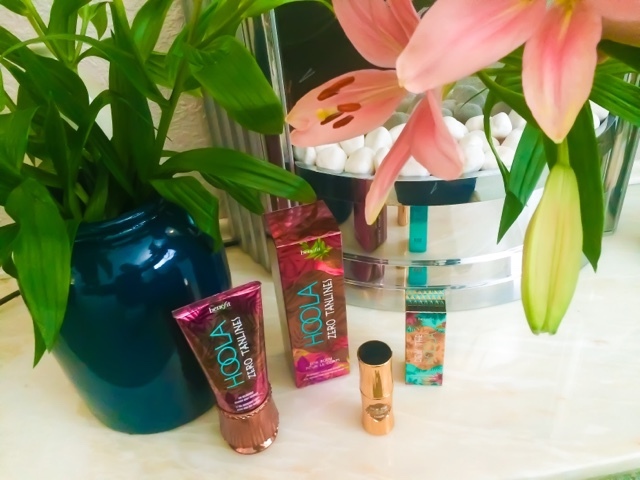 I enjoy using both of these products however the fake tan is definitely my favourite out of the two. It is completely streak free, it does not smell like I have applied fake tan and it looks natural on the skin. Let me know if you are going to try these products out? It looks like a great product and I'm definitely curious to try it out! I've been seeing this newbies everywhere and I want to try them but I'm not sure if the liquid version will be much different than the normal Hoola? Can you tell me if this is a wash off tan or should I apply the night before?